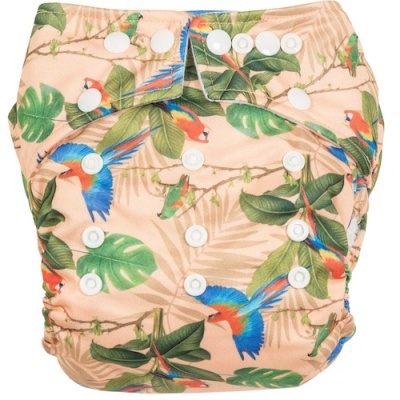 One size pocket nappy suitable from around 10-35lbs, with two bamboo boosters. Please choose a print. 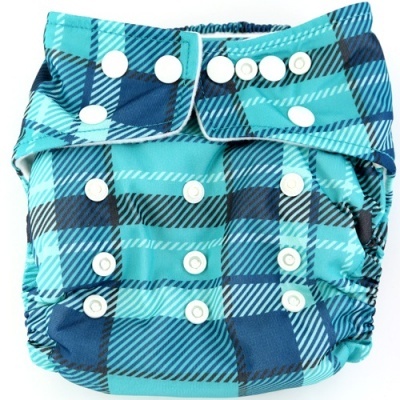 The NEW version 2 One-Size pocket nappy from LittleLamb. In new prints! 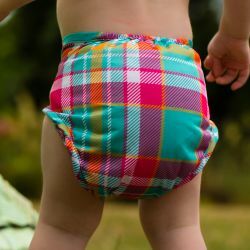 A one size pocket nappy suitable from around 10-35lbs. 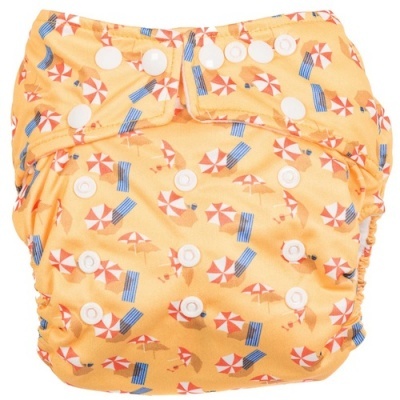 This nappy fastens with poppers. 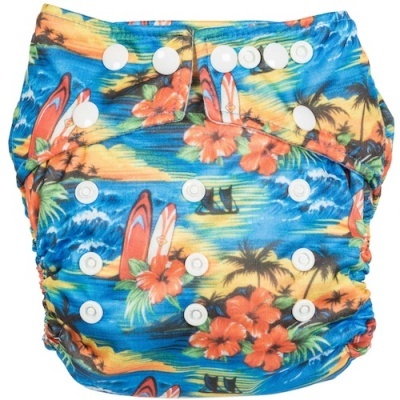 It also has poppers at the front of the nappy so you can adjust the rise as you baby grows. Version 2 has a few improved features. The previous microfibre boosters have been replaced with super-absorbent bamboo boosters as customer feedback suggests that microfibre results in compression leaks. 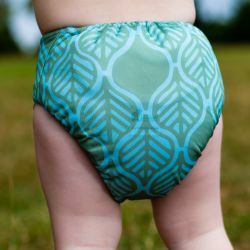 The soft lining that sits next to baby's skin is a super-soft microfleece that draws away moisture to the bamboo boosters, protecting baby's skin. 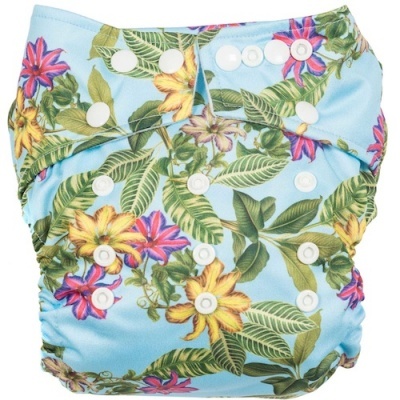 Each One-Size pocket nappy comes complete with two bamboo boosters. As there are no bulky seams on the booster they dry faster than the equivalent made from cotton. 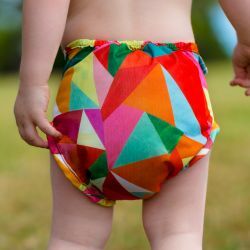 With pocket nappies the most important thing is to get the boosting right for your baby's need, a light wetter may only need one booster. 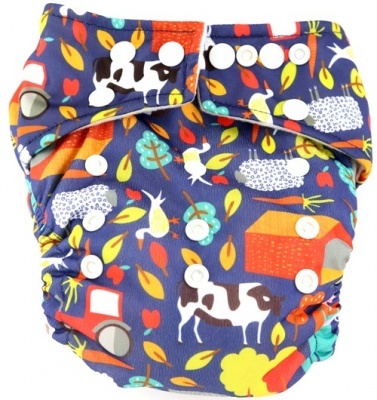 Pocket nappies are flexible so you can add extra boosters if required. 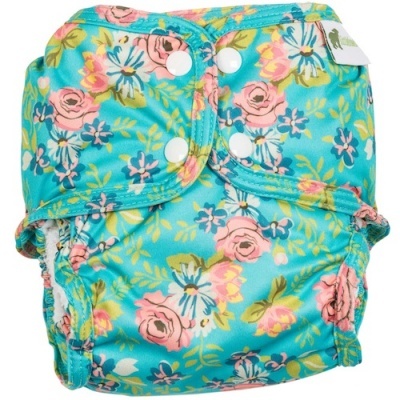 The elastic is super-soft to prevent chaffing baby's delicate skin, with proper laundry care it will last and last. 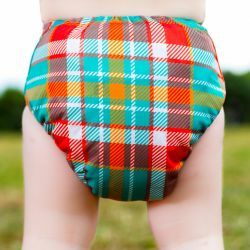 This nappy conforms to all EU regulations. From a UK brand. Fits around 10lbs to 35lbs.